Walking in the big glass doors of Zomp, you know you are in for a treat when you scan the large rectangular wooden shop’s floor and see endless amounts of shoes! 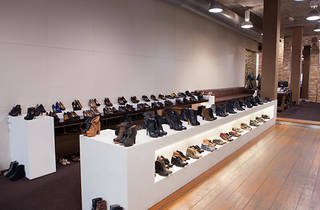 Gorgeous shoes from Italy and Spanish shoes as well as some of Australia’s top designers. The price tag is hefty but the shoes are timeless and use the best quality leather so they last. But the beauty of Zomp is there’s always something on sale. Other branches in Flinders Lane and Little Collins Street.